Finishing Road to Freedom Quest its the only way to join The Railroad fraction in Fallout 4. The Railroad fraction fights with the Institute and it is not quite friendly with the Brotherhood of Steel. The Railroad headquarters is located in the Old North Church, but to go in there we have to go through the Freedom Trail which is complete the Road to Freedom Quest. 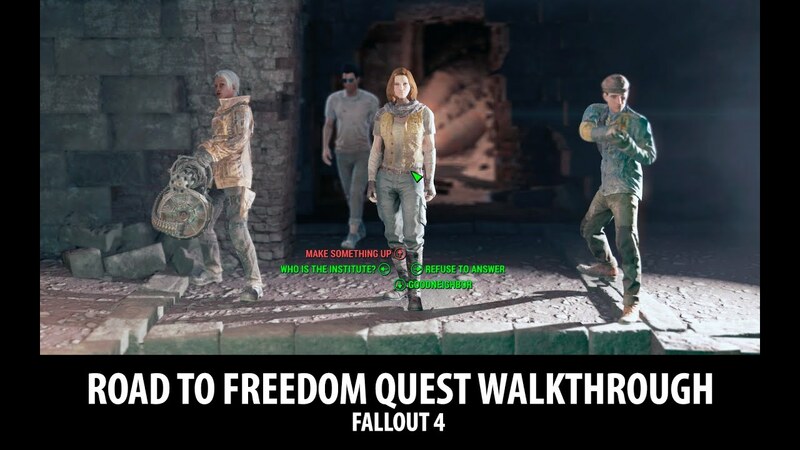 To start Road to Freedom Quest we have to: Look around Park Street Station and wait the quest to pop up or talk to people in Diamond City Market or Goodneighbor. See below how to finish quest.